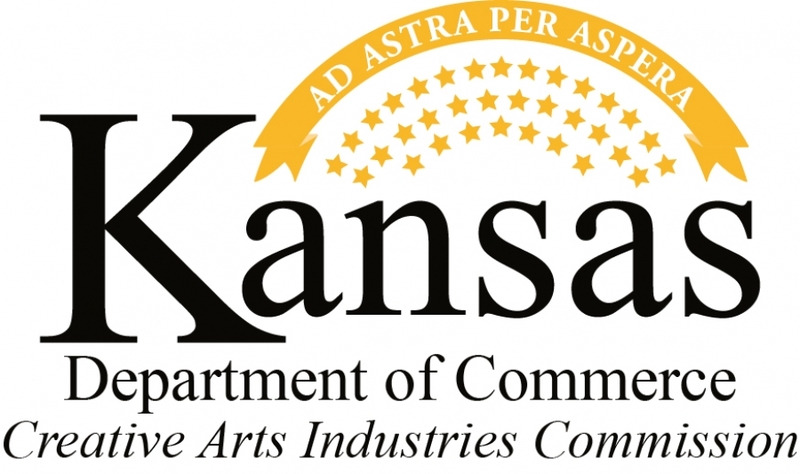 The Kansas Creative Arts Industries Commission (KCAIC) has announced that it has awarded grants to 11 organizations. The grant awards, which total $57,500, were awarded through the Strategic Investment and Arts Integration programs. KCAIC programs are designed to promote partnerships, enhance community and economic development, encourage risk and innovation, maximize statewide impact and highlight the role the arts play in all areas of community life. Grantees are selected by the KCAIC through an application and review process. The Strategic Investment Program (SIP) recognizes the important role individual artists and creative organizations play in building and sustaining cultural and economic vibrancy in Kansas. By funding a variety of professional and organizational development opportunities that impact cultural programming, these grants support initiatives that use the arts to enhance community vitality, revitalize neighborhoods, generate local business, create and preserve job opportunities and impact tourism. The next deadline to apply for the Strategic Investment or Arts Integration programs is April 11. To learn more about KCAIC programs, please visit KansasCommerce.com/CAICPrograms. Van Go will hire a new woodshop instructor to introduce the use of new materials, types of wood and wood treatment to improve product development and teach new additional technical and artistic skills to students through its Jobs in the Arts Makes Sense program, a youth employment and training program that addresses workforce readiness and increased student performance in at-risk teens through the arts. The Vernon Filley Art Museum, a new fine arts facility dedicated to providing new art and education opportunities to rural Kansas, will expand and install permanent storage to ensure proper protection and preservation of its permanent art collection and attract visiting exhibitions. The Busker Festival will hire a part-time marketing coordinator and develop a marketing strategy for growing its audience base from regional inter-state markets. This effort will be coordinated with the Lawrence Convention and Visitors Bureau and Downtown Lawrence Inc.
Sunflower RC&D, in conjunction with the Bartlett Arboretum, will develop and expand performance and workshop opportunities within the Tree House Series and newly created Second Sunday Salon program. Arts & Recreation of Overland Park will design a marketing campaign and produce professional presentation materials to support and expand the International Sculpture Garden at the Overland Park Arboretum, including the placement of artwork, landscaping of the area and construction of an entry pavilion, arts center, amphitheater, open-air pavilions and seating niches. Lawrence based artist Ashley Jane Laird, in partnership with the Chesney Park Neighborhood Association and the Great Mural Wall of Topeka, will lead a community-based effort to research, design, create and paint a 12 foot by 70 foot mural honoring the history, accomplishments and spirit of Kansas women in Topeka. The project will also aid in providing training opportunities for local artists and area students. Tallgrass Film Association will hire an Advancement Manager to assist the Board of Directors and Executive Director in all areas of organizational development, emphasizing brand awareness, audience growth and fiscal sustainability. The Arts Council Inc. will purchase and support a video display system for CityArts, including a 65-inch plasma screen and software to schedule and display video content on multiple screens. Content will include information and media about gallery exhibits, class schedules and upcoming arts and cultural events. This interactive medium will serve as a compelling way to promote the local community’s rich arts and cultural events and initiatives to a diverse group of citizens and visitors, while increasing participation and access. Community Access Television of Salina, under producer Dr. Phil Black, will develop a video documentation program entitled “Stories from the Heartland: Kansans in WWII”. In cooperation with Teen Town Inc., local students will be employed to document video oral histories of living Kansas World War II veterans. In addition to video production, students will learn historical research techniques at the Dwight D. Eisenhower Presidential Library and receive training in museum exhibition creation from The Smokey Hills Museum. FHSU Encore Series will conduct an outreach program, Encore Connections, in conjunction with nationally renowned Washington, D.C. based performance group “Step Afrika!” the first professional company in the world dedicated to the African American tradition of stepping. Encore Connections will provide artistic learning opportunities to local elementary, middle school, high school and college students, which will integrate the energy and appeal of the stepping dance culture with language and social studies content and delve into the history of the dance form and its ties with percussive dance traditions from Africa as well as its place in African American cultural traditions. Soft skills such as teamwork, discipline and commitment will also be emphasized throughout the program. In addition, FHSU Encore Series will host an Encore Conversation to educate community members, including residents of local retirement villages, on the history of “stepping” and its roots in African American history. Salina Arts & Humanities, in collaboration with Lucas artist Erika Nelson, will increase depth for the “Arty” Mobile Arts Van Program by addressing accessibility goals of the Salina’s cultural plan, and opening doors to children (grades 3-5) and social service organizations in indigent and remote neighborhoods by continued evolution of the summer arts delivery system. Participants will be bused to cultural organizations where they will receive a tour and complete a series of activities. Each cultural organization involved will create curriculum with Erika Nelson. The visits will serve as an introduction to the particular arts discipline of the agency and to the organization itself and the opportunities it presents, as well as available scholarship programs. One of the expected outcomes of the project is to see participants matriculate into the regular year-long activities of the organization.